Colin Kaepernick didn't take a snap in the NFL in 2017, yet he was a big part of the biggest story of the year. NFL players kneeling during the national anthem, something Kaepernick started a year earlier to bring attention to social injustices, set off a national debate that erupted once President Donald Trump chimed in. His call for owners to fire players who protested during "The Star-Spangled Banner" led to a massive show of defiance in the days that followed. The president's feud with the NFL is the runaway winner for top sports story of 2017 in balloting by AP members and editors, easily outdistancing the corruption scandal engulfing college basketball and the Houston Astros winning their first World Series and lifting the spirits of a city devastated by Hurricane Harvey. 1. 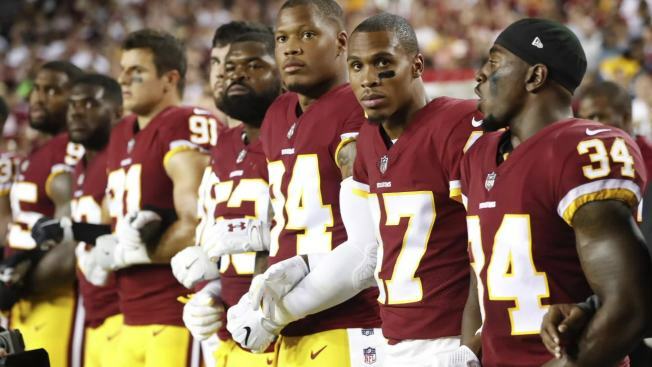 NFL players who knelt during the national anthem said they were exercising their free-speech rights and trying to bring attention to social injustices. 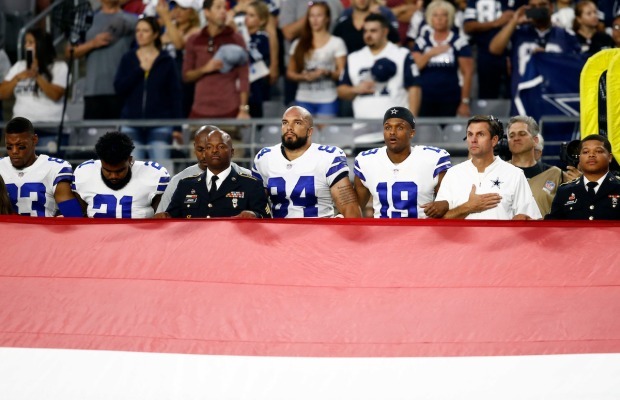 Critics, including the president, said they were disrespecting the flag, the country and the military. Kaepernick sued the league when no team signed him. 2. College basketball comes under the microscope after a federal investigation reveals corruption involving recruiting practices. 3. 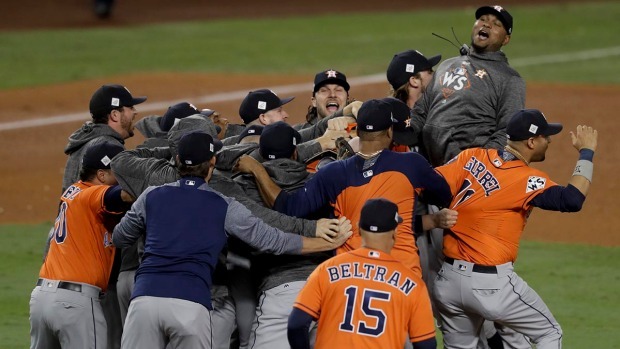 Houston Astros win their first World Series, beating the Los Angeles Dodgers in Game 7 to lift the spirits of a city devastated by Hurricane Harvey. 4. In a season that included his four-game suspension for "Deflategate," Tom Brady engineers a record-breaking comeback as the Patriots defeat the Falcons in first-ever Super Bowl overtime. "Clean" Russian athletes will be invited to take part in the Winter Olympics in South Korea next year, though they will be required to compete under the Olympic flag. 5. The president of USA Gymnastics resigns amid a sexual abuse scandal that includes revelations by some of the sport's biggest stars that they were victims. 6. Russia is banned from the Winter Olympics for a massive doping scheme at the 2014 Sochi Games. 7. Clemson mounts a last-second comeback to beat Alabama for college football's national championship. 8. The United States men's national soccer team fails to qualify for soccer's World Cup for the first time since 1986. Four-time champion Italy also fails to qualify. 9. New acquisition Kevin Durant leads the Golden State Warriors to the NBA championship over the defending champion Cleveland Cavaliers. 10. MMA star Conor McGregor steps into the boxing ring to face undefeated champ Floyd Mayweather Jr.